Develop and Enhance Your Supervisory Skills in the Health and Human Service Sector. Facilitators: Susan Geary, Ph.D., and Marion Langford, M.Ed. In this 4-module certificate program, you must complete all 4 modules to obtain the certificate. Please note: the individual learning modules can be taken separate from the certificate program. Description: This certificate program gives participants the opportunity to develop and enhance their supervisory skills through the 4-key supervisory/management-based modules that together build the whole management skills set. 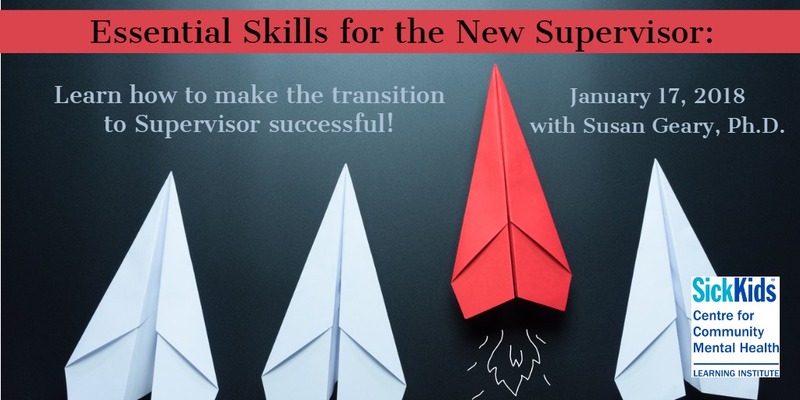 Module 1, Essential Skills for the New Supervisor will provide the basics of supervision such as how to set clear expectations, how to delegate effectively, how to give positive and corrective feedback and how to coach for improved performance. 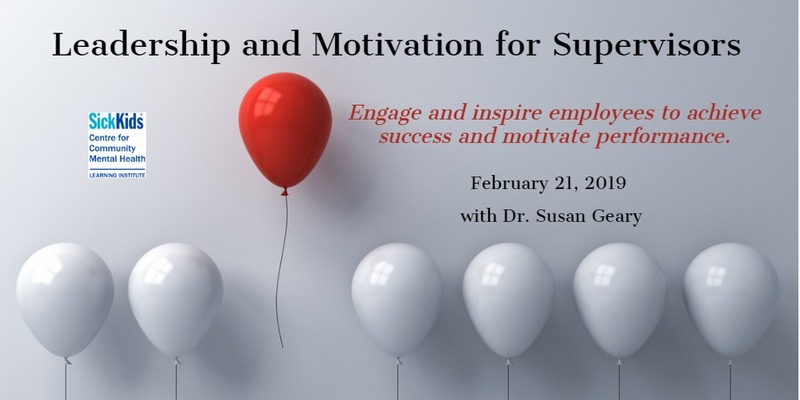 In module 2 Leadership and Motivation for Supervisors participants will examine the supervisor's role in leading and motivating employees through needs assessment and appropriate leadership style. During Holding Difficult Conversations (module 3) participants will learn how to address the difficult conversations that are needed with staff through building awareness of different approaches to conflict. Participants will gain a toolkit of questions and guidance addressing aspects for framing the issue along with setting boundaries and accountability in these conversations. Finally, module 4 Building and Sustaining Your Credibility and Influence, provides insight and support for how a supervisor engages in building and sustaining credibility and influence, including the strategies for working with staff, peers and your manager/director, as well as offering practical advice on establishing a support network and mentoring relationships to sustain ongoing development. Each Individual Learning Module may be taken separate from the Certificate Program however, all 4 modules must be completed to receive the certificate. 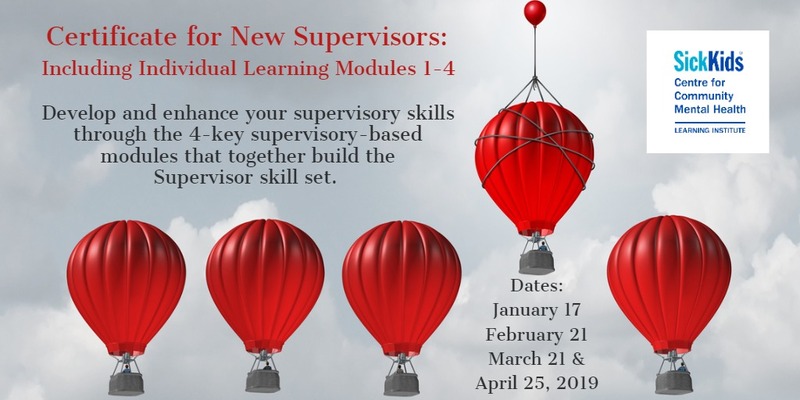 Module 1 Essential Skills for the New Supervisor | Presenter: Susan Geary, PhD. Description: Building a solid foundation on which to incorporate good supervisory practices in the first step in providing effective supervision to employees. This workshop will focus on the multi-faceted role of the supervisor. Participants will learn how to delegate work and to set clear standards for performance. They will also learn the best practices in giving feedback as well as how to coach employees for improved performance. Interviewing strategies (how to hire the right person the first time round) will also be covered. Time management skills will also be discussed so that supervisors can free up the time required to supervise effectively. First time supervisors, team leaders with supervisory responsibilities and experienced supervisors will find this course very useful. Description: Engage and inspired employees will work up to 30% harder than their counterparts. This workshop will look at how supervisors can use their leadership skills to encourage such exemplary performance. They will learn how to inspire employees by helping them see the connection between their own job and the vision of the organization. They will also be exposed to a leadership tool that will help them use different leadership styles based on the needs of their followers. They will learn different ways to motivate and inspire their employees. They will also look at how to build a high-performing team. Their role in leading and implementing change will also be discussed. -Define your leadership temperament and learn how to adapt to other temperaments. 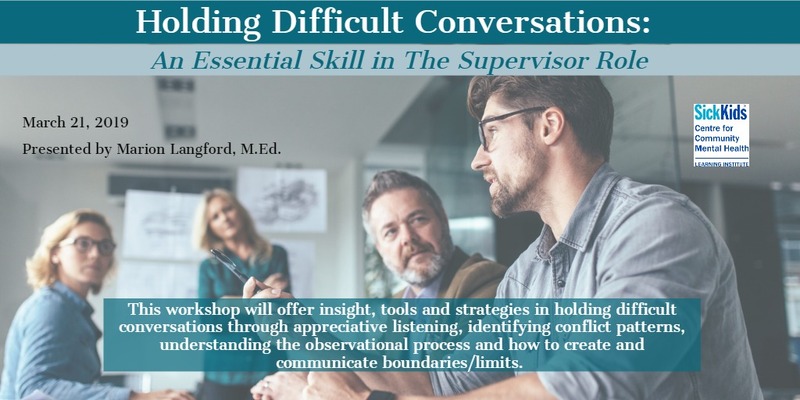 Module 3: Holding Difficult Conversations | Presenter: Marion Langford, M.Ed. 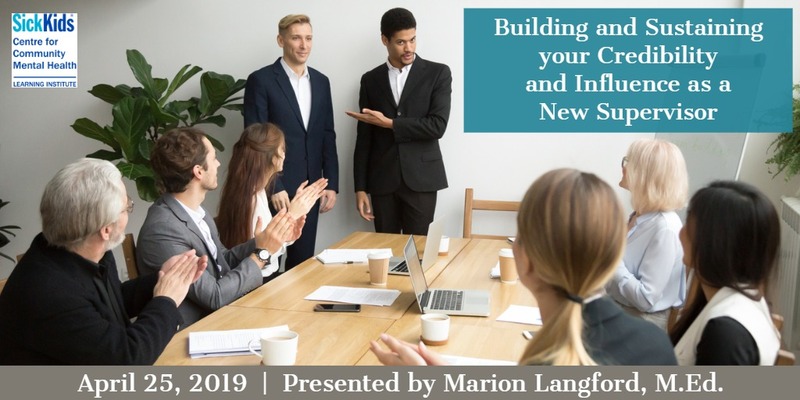 Module 4: Building and Sustaining Your Credibility and Influence | Presenter: Marion Langford, M.Ed. Description: A challenge for stellar performers who are promoted to be supervisors in that while they are on a learning curve for new supervisory skills, they must concurrently build their personal credibility and influence with staff, peers and their managers. This workshop is designed to take you through the how-to and strategies you can use to meet the common credibility and influence challenges for new supervisors.